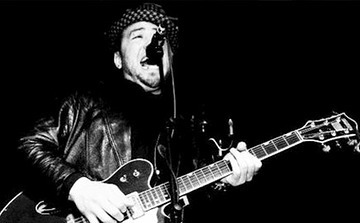 Since 2009, Kinjo has produced tours for artists such as the Slackers (NYC), the Aggrolites (LA) and Chris Murray (LA), bringing some these bands to Alberta for the first time. Kinjo has produced many local shows and showcases for developing Calgary and Edmonton artists. Since 2015, Kinjo has been residing part time in New York City performing his solo show as well as being a sub bassist for NYC ska/reggae kings the Slackers.